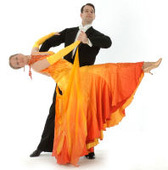 The Inter-Varsity Dancesport Contest involves the formal teams (and other competitors) from universities across the whole of the UK - ie it's the national competition of its type. Saturday 23rd February 2019, Winter Gardens, Blackpool. Saturday 24th February 2018, Winter Gardens, Blackpool. Saturday 25th February 2017, Winter Gardens, Blackpool. Saturday 27th February 2016, Winter Gardens, Blackpool. Saturday 28th February 2015, Winter Gardens, Blackpool.